I took this shot from the hill beside this one. 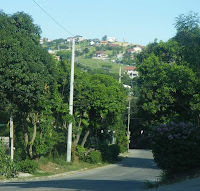 It's a steep hill and I was fascinated with all the curved roads. 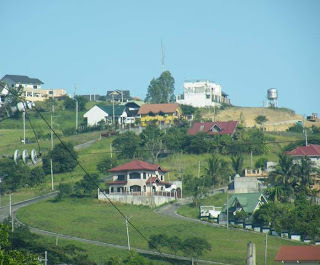 Photo: Montery Hills (taken in Parang Marikina with an 18x mega zoom). Here's the same vantage point without any zoom.